Abderrahim Bouih used to be worried about space. In charge of managing Morocco's radioactive waste since 2006, he had long projected that the country's sole radioactive waste facility would fill up by 2019. Thanks to a new methodology he and his colleagues learned through an IAEA project, they can now dismantle smoke detectors, lightning rods and other waste that contains radioactive material, safely separating the radioactive components from the metal, and significantly reducing the amount of radioactive waste they need to store. "We have condensed 60 drums of waste into just two," said Bouih, Head of the Radioactive Waste Collection, Treatment and Storage Unit at the Moroccan National Centre for Nuclear Energy, Sciences and Technology. "This means our site won't fill up for another 16 years." Radioactive sources are widely used throughout the world in a broad range of sectors including industry, construction, medicine, agriculture and research. Taking a holistic approach to managing radioactive sources from 'cradle to grave' enhances safety and security, and enables countries to overcome limitations to obtain radioactive sources from suppliers. "It is vital that radioactive sources are properly labelled and registered at their origin, and that appropriate control mechanisms are in place to trace them throughout their life cycle, from the manufacturer to the user and ultimately to their safe disposal," said Juan Carlos Lentijo, the IAEA's Director of Nuclear Fuel Cycle and Waste Technology. The most critical point in the life cycle of radioactive sources is "when they are not any more of value, but they become a burden for the user," he said. Morocco has thousands of items containing low level radioactive waste. Bouih and his colleagues regularly get calls from local authorities and companies from across the country to pick up their waste. "Next week we are going to an old hotel to collect 200 smoke detectors," he said. Older generation smoke detectors and lightning rods often have a small radioactive source as an active component of the device. As another outcome of its work with the IAEA, Morocco for the first time ever sent three old radiotherapy machines used for medical imaging back to France for processing last year. "Being able to provide a safe solution for our radioactive waste was a major step for us," Bouih said. The radioactive components used in radiotherapy machines are generally more hazardous to human health and the environment, and may also be more vulnerable to theft or misuse if they are not managed securely, than the majority of the more benign sources used in industrial applications and research. Morocco, like most other countries without a nuclear industry, is not appropriately equipped to manage waste with high levels of radioactivity. The IAEA arranged, oversaw and supervised the repatriation process. Being able to provide a safe solution for our radioactive waste was a major step for us. In Montenegro, another country that participated in the project, IAEA experts and local officials dealt with 98 of the country's radioactive sources in a joint exercise last year. 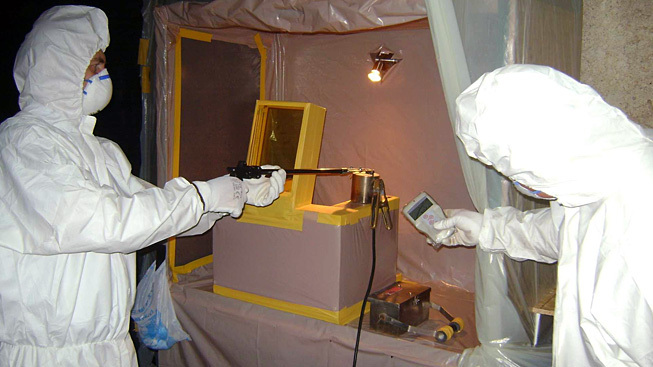 This allowed the staff of the Centre for Ecotoxicological Research of Montenegro to learn the technique to disassemble radioactive sources and place them in safe storage through a process known as conditioning, said Tamara Djurovic, Head of the Department for Radiation, Air and Noise Protection at Montenegro's Ministry of Sustainable Development and Tourism. Most of the radioactive waste Montenegro needs to deal with comes from military use, she explained. The country, for instance, has over 7,000 military compasses to dismantle, she said. These contain radium, and the Centre is waiting for a final government decision before beginning the work to condition them. "Even while waiting for their go-ahead, we have been able to repackage our sources and prevent the release of radon," she said. "The sources are now safe in stainless steel barrels." The country has also approved a new policy on the safe handling of radioactive materials, following an IAEA course for policymakers on the subject. "After the course, we were able to realign our strategy and policymaking in managing these sources," she said. Both Morocco and Montenegro are participating in an interregional project from 2012 to 2015 to help countries from the Mediterranean region establish adequate and permanent control over their radioactive sources. The project supported a harmonized approach consistent with IAEA safety standards and other international best practices. It aimed to define and establish coordinated policies and approaches to the control and movement of radioactive sources and has also contributed to reinforcing regulatory and management capabilities. Furthermore, the project has fostered cooperation among the countries of the region to address matters of common concern regarding the use of the Mediterranean Sea as a transport channel for radioactive substances. Adem Mutluer​ also contributed to this article. Conditioning is the first major step in the waste management of radioactive sources, which are man-made radioactive materials used in industry, medicine, agriculture and research. It results in a package suitable for handling, storage, transport or disposal of the material. The simplest technique manages the source without removing it from its original device or shield, by placing the device holding the source into concrete. This operation can be made 'irretrievable' or 'retrievable' depending on whether it is for temporary or final storage. When a more elaborate technique is used, the source is removed from its original device and the bare source is re-encapsulated — possibly together with other sources — in a new stainless steel capsule designed for this purpose. The capsule is usually placed in a special waste container.